Beyond Zero showcased its disruptive technology at CES 2018. They displayed the “world’s first” machines which enable any user to make liquor or wine cubes to cool drinks while eliminating the need for drink-diluting water-wasting ice. 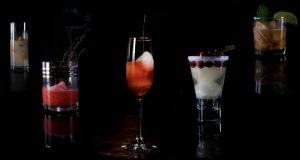 The machines are plug-and-play appliances which consume under 100W of power while automatically freezing pure liquor, wine, or mixed cocktails into ice in a matter of minutes. There is no use of chemical additives to freeze the spirits. The liquor ice maker and accompanying storage freezer are in production, UL/NSF approved and available for sale. The iconic design was created to capture the eye in any home or commercial environment. 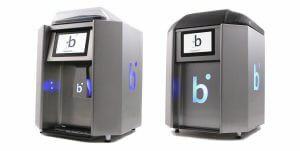 The lighting, use of colors and movement all sync to direct the user’s attention toward the technology by highlighting the process of the alcohol being frozen. Its intuitive touchscreen interface allows a user to push the boundaries of cocktail culture with the press of a button. Beyond Zero also offers other creative new cocktail possibilities such as combining more than one liquor together in ice, making ice in different colors or providing drinks that get stronger, not weaker- as ice melts.